Cannabis tea has been consumed for medicinal purposes for thousands of years. 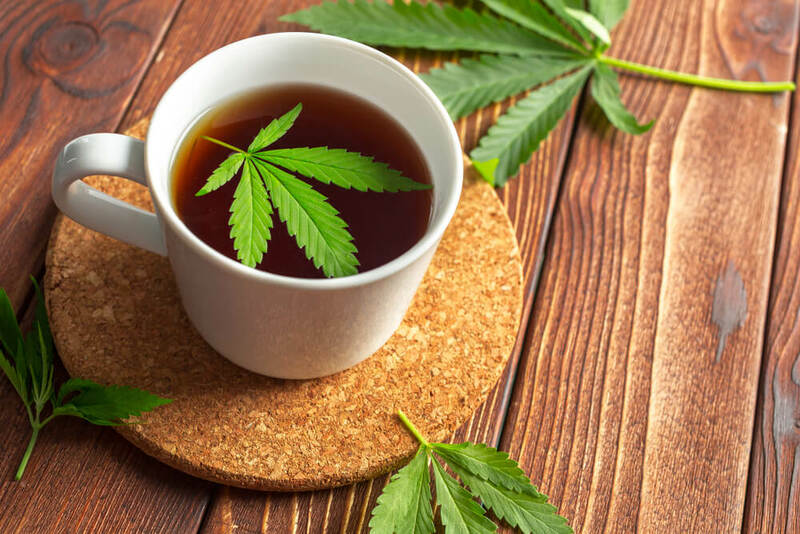 Whether you prefer to avoid smoking cannabis altogether or it’s easier to consume through food and drink, weed tea is a great way to help cut down on pain, nausea, inflammation, and other symptoms of various illnesses. Unfortunately, making the perfect cup of cannabis tea isn’t as easy as steeping a tea bag of dried marijuana leaves in a mug of hot water. At least, it’s not that easy to extract the THC or CBD from the leaves. How does Weed Tea Work? Both THC and CBD are fat-soluble, so you’ll need a high-fat base such as coconut oil or butter to extract the chemicals from the leaves through decarboxylation. This is why cannabis butter is used as the base for many marijuana edibles. Check out our guide to decarboxylation and making edibles. Before getting started with weed tea, keep in mind that the potency can vary according to different factors. The flower’s moisture level, the strain, and the amount used will all affect the results. Edibles are known for being tricky to dose, and since they can take 30-60 minutes to kick in it’s important to be patient when consuming and measuring results. Here’s our favorite recipe for a THC-infused weed tea latte that’s sure to bring a strong, relaxing body buzz. The fresher the herb used the more effect that will come through, but this recipe is a great way to use up leftover stems and kief if you don’t want to use the fresh flower. If you already have a batch of cannabis butter made and ready to go, skip steps 1 and 2. Blend together the cannabis herbs, milk, oil or butter, and vanilla extract until combined. Allow the mixture to sit at room temperature for about an hour. Add the mixture to a saucepan along with the water and infuser full of tea leaves. If you don’t have an infuser, the leaves can be added to the pan loosely and strained at the end. Cover and simmer over medium low heat for about 20 minutes. Do not allow it to boil. Pour into a mug and add cinnamon and honey to taste. If you’d rather take a more straightforward process, add a few drops of CBD oil to a mug of tea to enjoy the non-psychoactive benefits of cannabidiol. Bring the water to a boil, pour it into a mug, and add a splash of milk to help the oil break down before steeping a tea bag. If you’re looking for a dose of both THC and CBD but don’t want to bother with cannabis butter, add a few drops of a tincture. Tinctures are popular among users who prefer edibles over smoking, and the bonus is they’re very easy to make without oil so it will dissolve in tea, unlike an oil. Check out our guide to making a tincture. Weed tea is a popular choice for patients who benefit from the medical side of cannabis consumption but would rather not smoke. Next time you’re looking for a healthy body buzz or a new way to consume a homemade oil or tincture, grab a mug and brew some THC tea.